Hey everyone! As promised in our last blog post, it's been two weeks, so it's time for an update on the progress of both Code.xyz and Standard Library. We are thrilled to be able to share that we hit a milestone earlier this week, more than 50,000 APIs have now been deployed to Standard Library — both using our command line tools and Code.xyz. These include Slack bots, Stripe stores, Messagebird's SMS APIs, everything you need to know about mountains via AscenDB's API, and tens of thousands of private workflow automation APIs (task scheduling, e-mail outreach, web scraping, you name it)! Now — the good stuff! Our community Slack workspace has been buzzing. There are all kinds of feature requests we've been itemizing and knocking out with a lot of interest around GitHub integration. 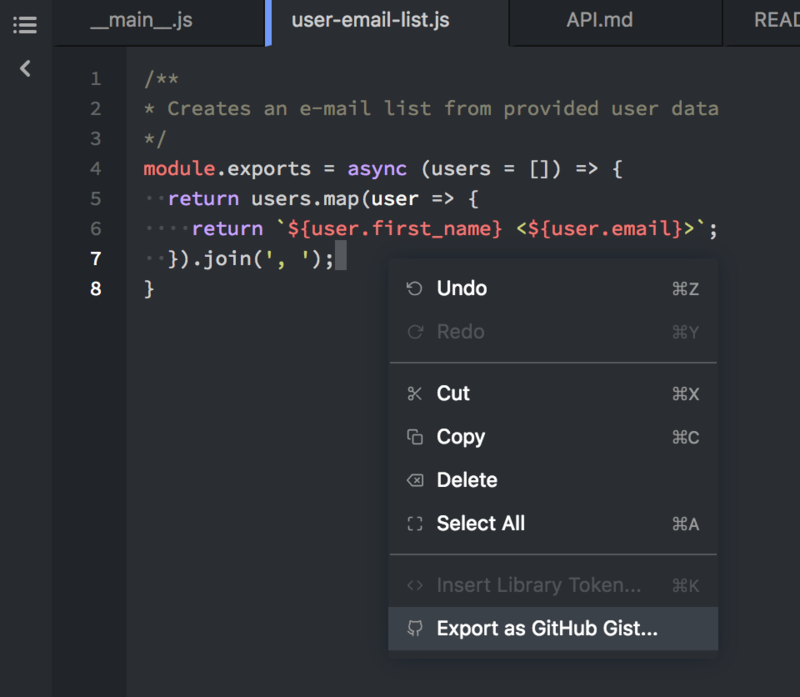 We're pleased to announce that we've been listening and working hard to make Code.xyz a more integrated experience with your existing developer tools and workflows. Thanks — try it out! Thanks for reading, and stay tuned for more GitHub integrations!